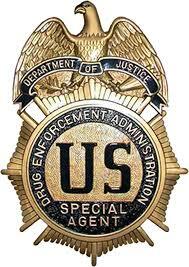 After a nine-year criminal investigation by the DEA and FDA, on July 17, 2014 the US Attorney for the Northern District of California filed a criminal indictment by a federal grand jury against FedEx Corporation, FedEx Express, Inc., and FedEx Corporate Services, Inc., for conspiracies to traffic in controlled substances and misbranded prescription drugs for its role in distributing controlled substances and prescription drugs for illegal Internet pharmacies. If found guilty, the Fed Ex defendants face a maximum sentence of 5 years of probation, and a fine of up to $1.6 billion representing twice the gross gain derived from the offense, alleged in the indictment to be at least $820 million. FedEx would also be liable for restitution to victims of the crime, as well as forfeiture of the gross proceeds of the offense and any facilitating property. FedEx established an Online Pharmacy Credit Policy to protect against large balances owed to FedEx. FedEx established a Sales policy to protect its sales professionals commission-based compensation caused by online pharmacies moving shipping locations to avoid detection by the DEA. FedEx adopted a procedure whereby Internet pharmacy packages from problematic shippers were held for pick up at specific stations. FedEx’s employees knew that online pharmacies and fulfillment pharmacies affiliated with both the Chhabra-Smoley organization and Superior Drugs were closed down by state and federal law enforcement agencies and that their owners, operators, pharmacists, and doctors were indicted, arrested and convicted of illegally distributing drugs. The FedEx indictment is available by link here. The press release is excerpted below. … In 2004, FedEx established an Online Pharmacy Credit Policy requiring that all online pharmacy shippers be approved by the Credit Department prior to opening a new account. The stated reason for this policy was that many Internet pharmacies operated outside federal and state regulations over the sale of controlled drugs and many sites had been shut down by the government without warning, leaving a large balance owed to FedEx. According to the indictment, FedEx also established a Sales policy in which all online pharmacies were assigned to a “catchall” classification to protect the commission-based compensation of its sales professionals from the volatility caused by online pharmacies moving shipping locations often to avoid detection by the DEA. According to the indictment, as early as 2004, FedEx knew that it was delivering drugs to dealers and addicts. FedEx’s couriers in Kentucky, Tennessee, and Virginia expressed safety concerns that were circulated to FedEx Senior management, including that FedEx trucks were stopped on the road by online pharmacy customers demanding packages of pills, that the delivery address was a parking lot, school, or vacant home where several car loads of people were waiting for the FedEx driver to arrive with their drugs, that customers were jumping on the FedEx trucks and demanding online pharmacy packages, and that FedEx drivers were threatened if they insisted on delivering packages to the addresses instead of giving the packages to customers who demanded them. In response to these concerns, FedEx adopted a procedure whereby Internet pharmacy packages from problematic shippers were held for pick up at specific stations, rather than delivered to the recipient’s address. FedEx is charged in the indictment with conspiring with two separate but related Internet pharmacy organizations: the Chhabra-Smoley Organization, from 2000 through 2008, and Superior Drugs, from 2002 through 2010. In each case, FedEx is alleged to have knowingly and intentionally conspired to distribute controlled substances and prescription drugs, including Phendimetrazine (Schedule III); Ambien, Phentermine, Diazepam, and Alprazolam (Schedule IV), to customers who had no legitimate medical need for them based on invalid prescriptions issued by doctors who were acting outside the usual course of professional practice. According to the indictment, FedEx began delivering controlled substances and prescription drugs for Internet pharmacies run by Vincent Chhabra, including RxNetwork and USA Prescription, in 2000. When Chhabra was arrested in December of 2003 for illegally distributing controlled substances based on a doctor’s review of an on-line questionnaire, Robert Smoley took over the organization and continued the illegal distribution of controlled substances and prescription drugs through FedEx. According to the indictment, FedEx began delivering controlled substances and prescription drugs for Superior Drugs in 2002. FedEx’s employees knew that Superior Drugs filled orders for online pharmacies that sold controlled substances and prescription drugs to consumers without the need for a face-to-face meeting with, or physical examination or laboratory tests by, a physician. According to the indictment, FedEx’s employees knew that online pharmacies and fulfillment pharmacies affiliated with both the Chhabra-Smoley organization and Superior Drugs were closed down by state and federal law enforcement agencies and that their owners, operators, pharmacists, and doctors were indicted, arrested and convicted of illegally distributing drugs. Nevertheless, FedEx continued to deliver controlled substances and prescription drugs for the Chhabra-Smoley organization and Superior Drugs. …We have repeatedly requested that the government provide us a list of online pharmacies engaging in illegal activity. Whenever DEA provides us a list of pharmacies engaging in illegal activity, we will turn off shipping for those companies immediately. So far the government has declined to provide such a list. FedEx transports more than 10 million packages a day. The privacy of our customers is essential to the core of our business. This privacy is now at risk, based on the charges by the Department of Justice related to the transportation of prescription medications. We want to be clear what’s at stake here: the government is suggesting that FedEx assume criminal responsibility for the legality of the contents of the millions of packages that we pick up and deliver every day. We are a transportation company – we are not law enforcement. We have no interest in violating the privacy of our customers. We continue to stand ready and willing to support and assist law enforcement. We cannot, however, do the job of law enforcement ourselves. Both UPS and Google settled their investigations relating to online pharmacy business, $40 million (2013) and $500 million (2011) respectively. UPS established an Online Pharmacy Compliance Officer pursuant to its settlement with the DEA and DOJ. The Google investigation had its origins in a separate, multimillion dollar financial fraud investigation unrelated to Google, the main target of which fled to Mexico. While a fugitive, he began to advertise the unlawful sale of drugs through Google’s AdWords program. After being apprehended in Mexico and returned to the United States by the U.S. Secret Service, he began cooperating with law enforcement and provided information about his use of the AdWords program. During the ensuing investigation of Google, the government established a number of undercover websites for the purpose of advertising the unlawful sale of controlled and non-controlled substances through Google’s AdWords program. LexisNexis’ Money Laundering, Asset Forfeiture and Recovery and Compliance: A Global Guide – This eBook with commentary and analysis by hundreds of AML experts from over 100 countries, is designed to provide the compliance officer accurate analyses of the AML/CTF Financial and Legal Intelligence, law and practice in the nations of the world with the most current references and resources. The eBook is organized around five main themes: 1. Money Laundering Risk and Compliance; 2. The Law of Anti-Money Laundering and Compliance; 3. Criminal and Civil Forfeiture; 4. Compliance and 5. International Cooperation. As these unlawful activities can occur in any given country, it is important to identify the international participants who are cooperating to develop methods to obstruct these criminal activities. This entry was posted on July 18, 2014 at 16:05	and is filed under Financial Crimes, Money Laundering. You can follow any responses to this entry through the RSS 2.0 feed. You can leave a response, or trackback from your own site.